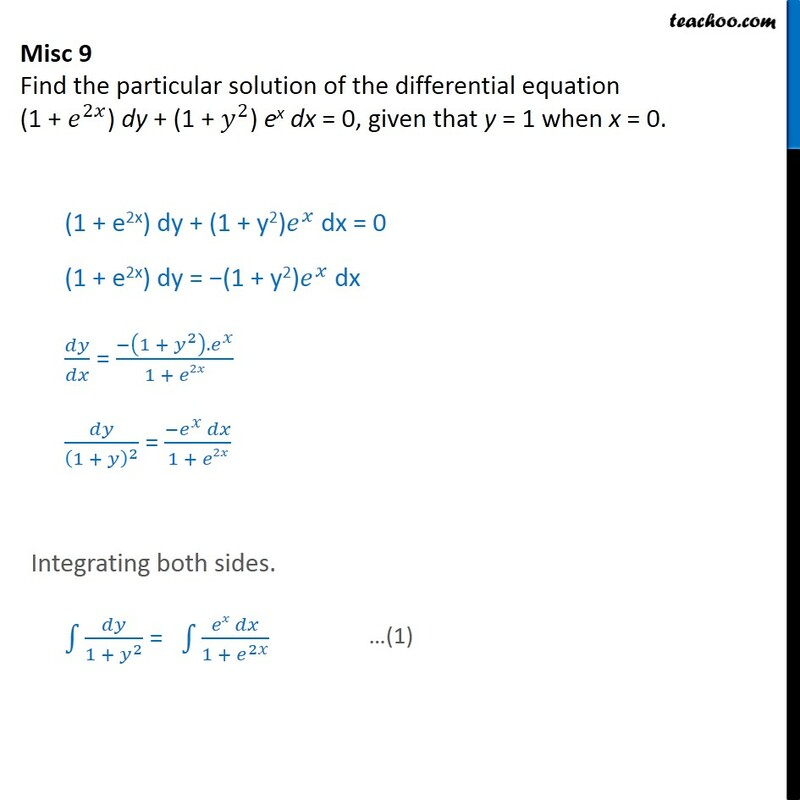 Misc 9 Find the particular solution of the differential equation (1 + 2 ) dy + (1 + 2 ) ex dx = 0, given that y = 1 when x = 0. (1 + e2x) dy + (1 + y2) dx = 0 (1 + e2x) dy = (1 + y2) dx = 1 + 2 . 1 + 2 1 + 2 = 1 + 2 Integrating both sides. 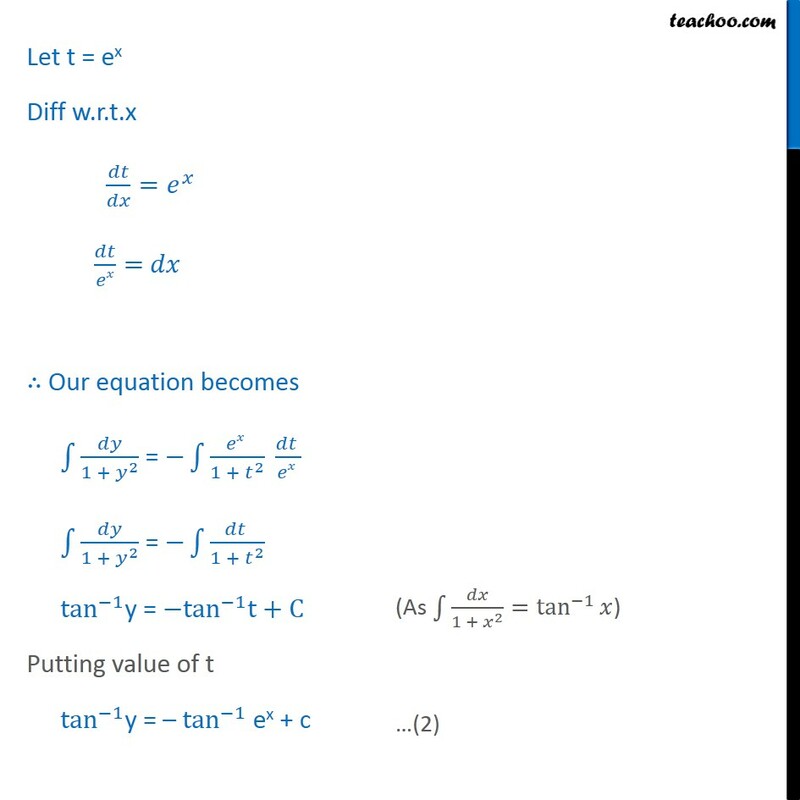 1 + 2 = 1 + 2 Let t = ex Diff w.r.t.x = = Our equation becomes 1 + 2 = 1 + 2 1 + 2 = 1 + 2 tan 1 y = tan 1 t+C Putting value of t tan 1 y = tan 1 ex + c Given that y = 1 when x = 0 Put y = 1 and x = 0 in (2) tan 1 (1) = tan 1 e + C 4 = tan 1 1+ 4 = 4 + C 4 + 4 = C C = 2 . 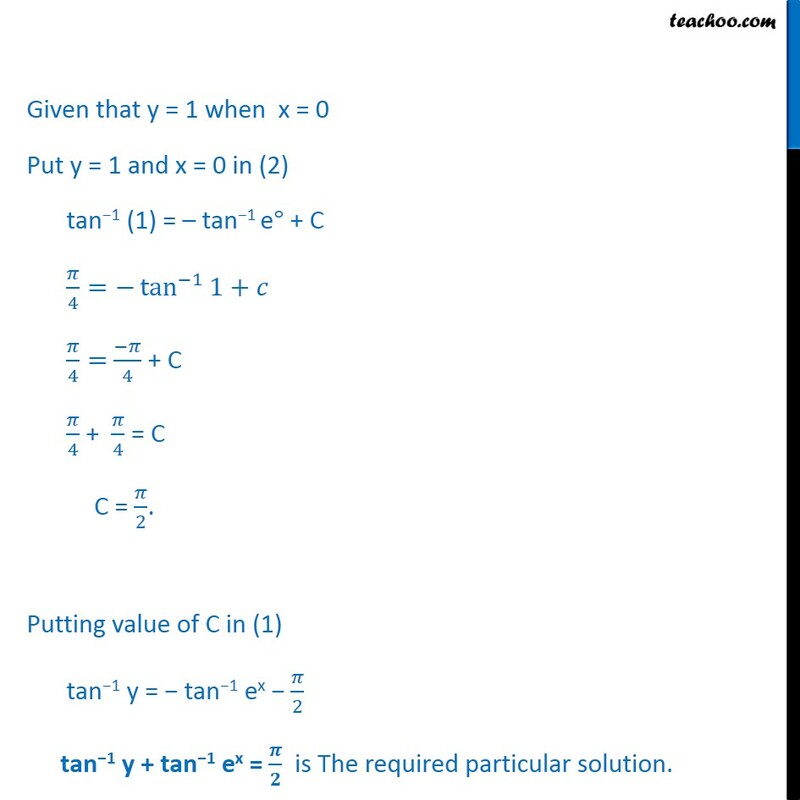 Putting value of C in (1) tan 1 y = tan 1 ex 2 tan 1 y + tan 1 ex = is The required particular solution.